The purchase of Jamb form which started on November 22nd 2018 is still on sale, hurry now to get yours if you’ve not done that. 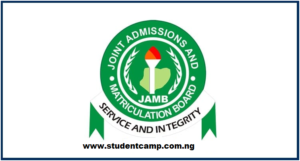 Also The Joint Admission and Matriculation Board (JAMB) is about to Announce the date of the Mock Examination and according to the board, the Jamb Mock Exam is optional. Finally, the Jamb UTME Mock Exam Date is going to hold this January 2018. Also you can print out UTME mock e-slip.